The journalists turned up for Jose Mourinho’s 8am press conference and three minutes, 32 seconds later, it was time for home. Six questions asked, five answered, what’s for breakfast? Mourinho at least admitted that what Manchester United were producing in the Premier League was unacceptable. That, though, you suspect was aimed more at his players than himself. Under David Moyes, United attempted to attack. It wasn’t the prettiest but there was a plan. The same went for Louis van Gaal, as dull and sideways as it was. Mourinho’s style seems lost. As a result, so do his players. 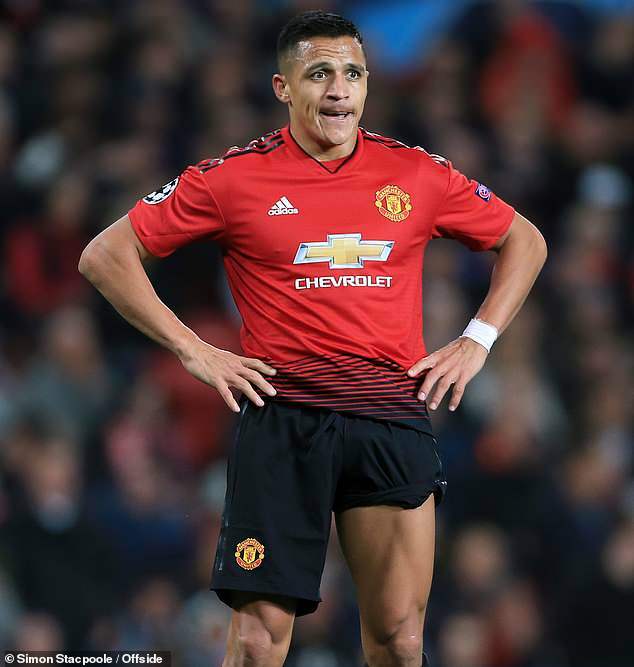 Alexis Sanchez has turned into a prime example of their lack of direction, appearing dreadfully absent and offering United no bang for their buck. Sanchez’s staggering wages were published by Sportsmail in May, in conjunction with German news magazine Der Spiegel and the book Football Leaks: Uncovering The Dirty Deals Behind The Beautiful Game. The Chilean’s contract sees him paid £391,000 per week and an additional £75,000 per start. Mourinho’s desperation to gazump Manchester City manager Pep Guardiola also saw Sanchez handed a £6.7million signing-on fee. He will receive another £2m if he reaches a combination of 40 goals and assists in a season. With zero of one and one of the other, that money is surely safe. The smallest of silver linings. Moyes left Old Trafford having managed 1.65 goals per game. Mourinho’s ratio is worse – currently 1.59 – but his defence is considerably better. Still, clean sheets don’t win games. United discovered that during Tuesday's 0-0 drab draw with Valencia, who sit 14th in La Liga. Sanchez started but once again failed to have an impact, this time from the right wing rather than the left. Lots of energy, little end product. Sanchez charged at the visitors’ defence on a couple of occasions but nothing came of it. With 14 minutes left, Mourinho made his one and only substitution of the evening – he took off Sanchez and brought on Anthony Martial. Cheers filled Old Trafford for his French replacement. Remember in October 2017, when Arsenal fans were outraged at Sanchez’s exclusion from the Ballon d’Or 30-man shortlist? Twelve months on, it seems a world away. United's struggles are not all down to Sanchez, of course. Romelu Lukaku has his days where he too looks lost up front, while Marcus Rashford and Jesse Lingard's efforts are not always effective. Yet Sanchez, as British football’s best-paid player, has to take the flack for his individual performances. That comes with the pay-cheque, particularly when United are receiving mediocrity in return. Part of the problem is the 29-year-old has a tendency to head back towards his own goal, grab the ball then turn into traffic. He has a knack of misplacing passes or chipping the ball into unmanned areas, as if Lukaku should be meeting them. When on the wing, he can cut inside rather than using the outside. The runs behind are few and far between too. He has managed nine shots in the Premier League this season – as many as Luke Shaw – and looks a shadow of the man who terrorised full-backs for Arsenal. There is the question of who to blame for this dire downfall. Is it mainly Sanchez's fault? Is it Mourinho's for his distinctly ordinary style of play? Or perhaps a bit of both? Either way, United will continue to pay huge sums to a player who is not performing. Sanchez is contracted until the end of the 2021-22 season, so the club are stuck. After all, who would take him now?